OPINION In the wake of the shooting of cartoonists and journalists in Paris, political leaders in New Zealand have expressed shock and horror, and their support for those who uphold freedom of expression in other countries. What about freedom of speech and thought at home, however? Over the past decade or so, politicians seeking to uphold their own power have abused democratic freedoms in New Zealand. 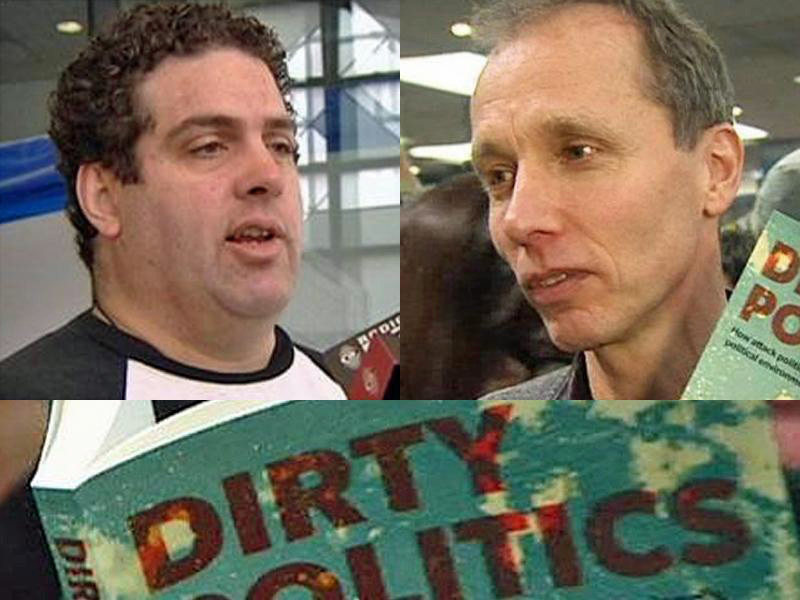 Journalists including Jon Stephenson (for reporting on New Zealand’s involvement in Afghanistan), Andrea Vance (over a suspected leak of a report about the GCSB spy agency), and Nicky Hager (for exposing scurrilous relationships between senior politicians and muck-raking bloggers) have been intimidated and attacked. While our leaders do not shoot people, they work with others to try to ruin the lives and careers of those who disagree with them. The means may be different, but the intent is the same. One way or another, their critics (however valid their points of view might be) must be silenced. It is not just outspoken individuals who are at risk. Institutions that are the bulwarks of our democracy have been undermined. Since the 1980s, the civil service, which is supposed to offer informed, impartial advice to politicians, has been brought under ministerial control, and instead of serving civil society now largely serves its political masters. The freedom of the press has been compromised, for instance in the wake of the teapot tape scandal, when newspaper offices were raided in an effort to prevent the publication of those recordings, or when improper pressure is brought to bear on journalists and media outlets for partisan political purposes. 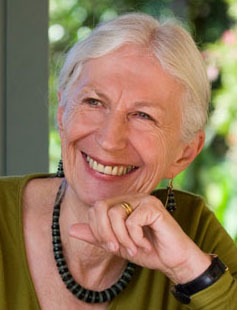 █ Dame Anne Salmond is a Distinguished Professor at the University of Auckland. She was the 2013 Kiwibank New Zealander of the Year. The Chief Ombudsman says a major review of the Official Information Act will scrutinise all 27 government ministers’ offices. Dame Beverley Wakem today began her review of the way the public sector used the OIA, which she first announced in August. Twelve government agencies have been selected for formal review, based on their size, number of OIA requests, complaints, and other criteria. A further 63 agencies and all ministers’ offices have been asked to complete a detailed survey. At least one agency cited for good OIA practice would be included in the review. The Ombudsman’s office would also seek input from past and present public servants, Opposition parties, journalists, academics and others. 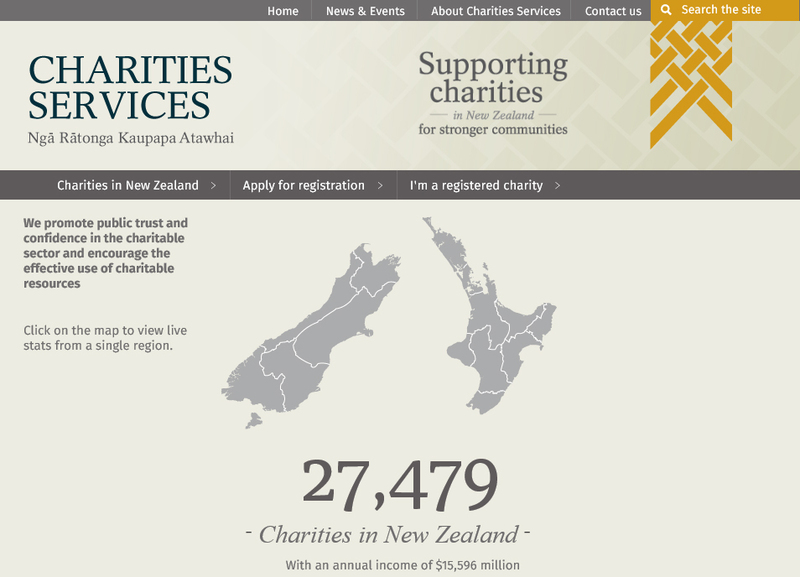 Dame Beverley said the goal was to assess the quality and integrity of OIA practice in the public sector and to address any issues that were found. 21.11.09 Stadium: Key’s message to opponents…. 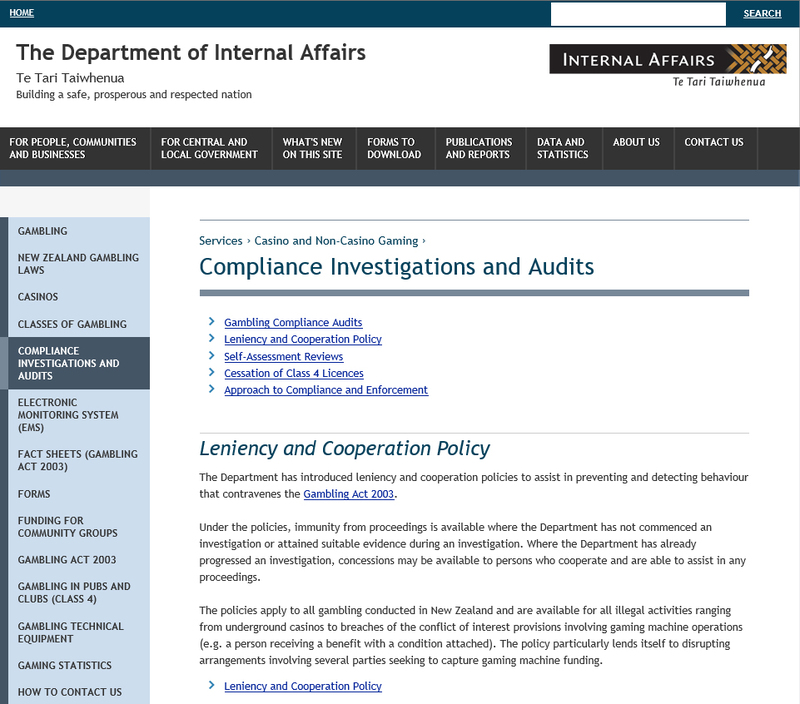 █ For more, enter terms such as *corruption*, *fraud*, *whistleblowers*, *dia*, *department of internal affairs*, *stadium*, *gambling*, *auditor general*, *oag*, *audit nz*, *orfu*, *nzru*, *sfo*, *pokies*, *ttcf*, *racing* or *rugby* in the search box at right. Link received Thu, 23 Oct 2014 at 8:15 p.m.
NZ Herald journalist David Fisher gave the following speech to an audience of public officials in Wellington on October 15. We republish it here to help the public understand the systematic difficulties faced by those seeking information on their behalf. Good afternoon everyone. 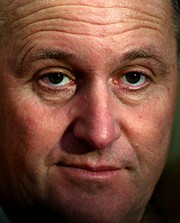 I am David Fisher, a reporter with the NZ Herald. I have worked as a journalist for 25 years, mainly in New Zealand but across a number of other countries. I think there’s some value before I start in placing a context around the current situation in relation to the media and the OIA. In doing so, it should be said each of the following allegations is denied. 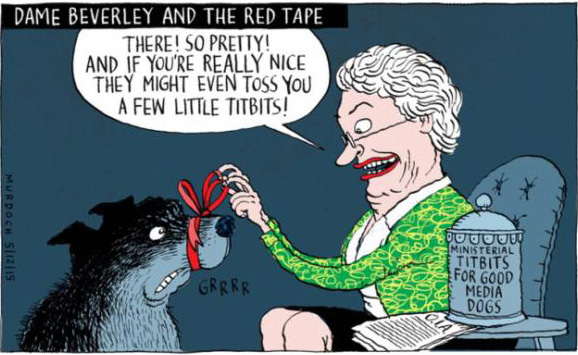 Isn’t it extraordinary that the NZ Police – such an independent body of public servants – jump so quickly whenever Donkey Jonkey and his mates want action, yet they are pleading under-resourcing for really serious crimes? Remember the infamous John Banks (you know, the little forgetful coot from Auckland) cup of tea PR stunt with Key? Key lays a complaint about the recording and the cops jump immediately. Collins, Key and others are shown to be dirty manipulators in Hager’s book and the cops immediately follow up. And how many others could say that their well-documented complaints have been diligently followed? I know of a few for starters, but let’s start with the Crewe murders and the bent cops who planted evidence. Did the cops diligently pursue anyone else when Thomas was pardoned? Not even when Rochelle Crew asked them to do so. The two bent cops were praised for their integrity and diligence by the very top cop after they died. I could go on, but the perception out there is that the cops are politically driven.